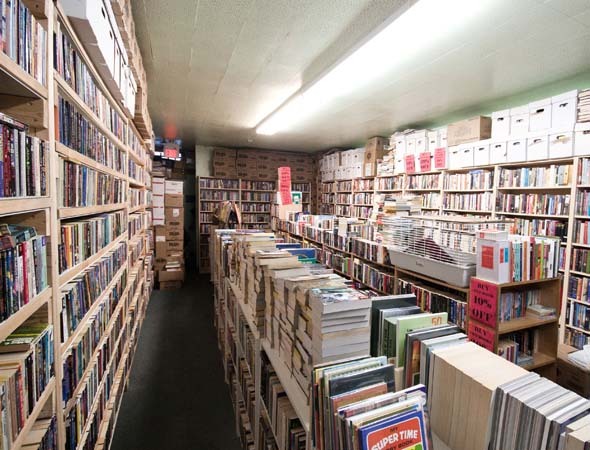 Doug Miller Books provides "New Books, not New Prices." After ten years on Mount Pleasant, the shop moved to Bloor about two months ago when their landlord put the building up for sale. Doug Miller loves his new location and its volume of walk-by traffic. "It's also a more scholarly crowd," he says, adding that he'd like to expand his non-fiction and science fiction selection. 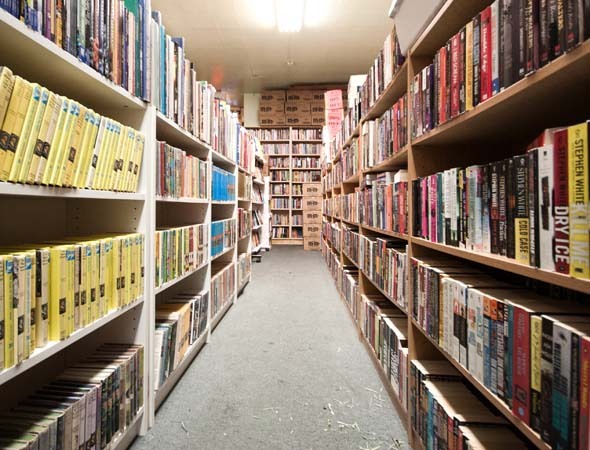 The store stocks both new and used books, with prices discounted anywhere between 10% - 50%. So you can get a brand-new children's book that retails for $10.99 for only $5. 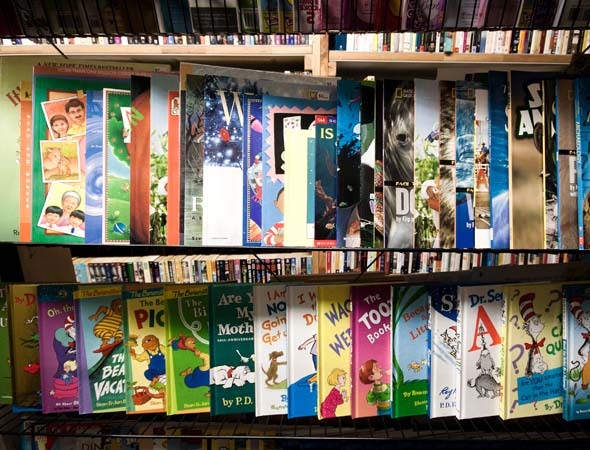 With children's books, Doug tells me, the cost can be "prohibitive for a lot of parents." Yet, he says, "that book can be read hundreds of times." A stay at home dad, Doug reads to his three year old son Nathaniel every day, sometimes as with Green Eggs and Ham, up to 37 times in one day. "Without cheating!" Doug insists. 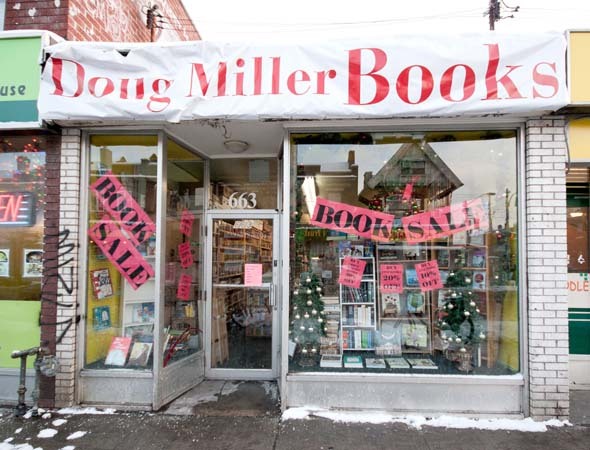 Doug Miller Books also stocks the children's section at Seekers Books (509 Bloor St W). Doug sells what he calls "reading copies," mostly $3-5 paperbacks that people can carry around in their bags and read on the subway. His prices are very reasonable, with art books at $15-20 and signed Neil Gaiman graphic novels at $35. The store is small and a bit cramped, but very well-organized. "I know every book in the store," Doug tells me. He also keeps the books arranged by genre and "strictly alphabetical" order to make locating titles quicker and easier. "We're an old-fashioned shop in that sense," he says. "We want to help people find things." Customers usually come in with a specific title in mind, and they just want it found quickly. "Browsing," Doug says, "is not dead, but it's miniscule." But if, like me, you love just browsing and talking about books, I suggest dropping by nights or weekends, when Doug himself is usually at the store. I had a great time chatting with him about Toronto book culture, Victorian-era book binding and how the Internet is putting book scouts out of business. Most bookstores have a cat; Doug has a rabbit, an adorable fluffy gray one called Bumpkin. Be sure to rub his nose when you visit; it's addictive. Above all, Doug is a book collector and he's been collecting since he was seven. "There's an obsessive quality to our lifestyle," he says. "To actually have the book on the shelf so you can revisit it at 3 am." 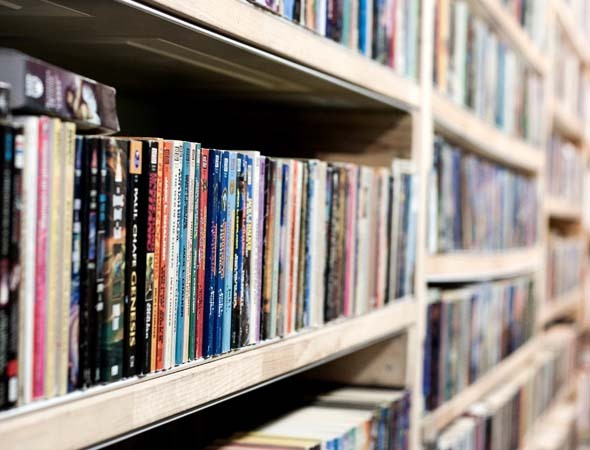 He began his business out of his apartment, with a room closed off containing books he refused to sell, and even now, his passion for books is very evident. "It's about what you value," Doug says. "I value books." Doug shows me some real treasures among his stock - original art by Winnie the Pooh artist Ernest Shepard for $3,500, a signed 1928 Faber edition of T.S. Eliot's poem "Song of Simeon" with Bauhaus illustrations for $1,500 and a Warner edition of Tale of Mrs. Tittlemouse by Beatrix Potter autographed on May 10th, 1943 (just "months before her death," Doug enthuses) for $10,000. Most of all, what Doug Miller Books does is provide inexpensive books and efficient, enthusiastic, knowledgeable customer service. 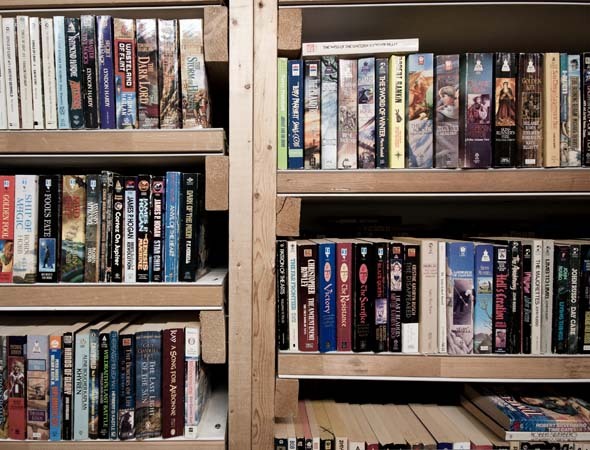 "I will do this till the day I die," Doug says, looking at his shelves and boxes crammed with books. "It's what I'm meant to do."